TUESDAY 30 APRIL AND 14 MAY. If you can run at least 3miles/5kms do come and join us. We are a friendly club catering for all abilities. Mud and fun guaranteed. Bring your grippy trainers, a waterproof and your biggest smile. “It’s hard to imagine now, but there was a time when I didn’t run. And there was a time when driving over the tops with the expanse of moors stretching away on either side, gave me the heebie -jeebies. Our moors always seemed desolate to me. Too empty. Too unknowable. I was happy in the valley thanks very much. Right at the bottom; on the flat. In the summer of 2014, as a mother of 3, I felt old, achey, heavy. Unfit. That summer my cousin talked about a half Marathon she’d just run. New to running, she told me how she’d started out with a Couch to 5K podcast. My cousin is slim and gorgeous and I was still carrying my baby weight, but I thought, why not me? I started in secret. Even my husband didn’t know the first few times I went out. I went out early so I would see as few people as possible. That first time I ran for a minute and a half. 9 weeks later I could run for 30 minutes. It made me so happy. With small children it’s impossible to do anything fast and it was a delight to move at speed. I soon worked out that I couldn’t avoid the hills forever. The first time I made it up to Stoodley Pike I called my Mum from the top. I could manage about 6 miles when I joined the Calder Valley Fell Runner’s ‘Back to the Fells’ in the spring of 2015. Everyone was very welcoming, and very encouraging as we struggled up our first climb. It turned out that walking the steep bits was perfectly acceptable! I remember the incredible copper light on the heather up at Crow Hill, and the feeling of the soft boggy ground under my feet as we descended. Running that first year I discovered that being out in sideways sleet, on the tops, through bogs, in the dark, in fact in anything that might put a sensible person off, gives you a lovely feeling that you’re beating the system. That you’re embracing the elements and the seasons and nothing can stop you! For years I’d suffered with SAD, but not any more. 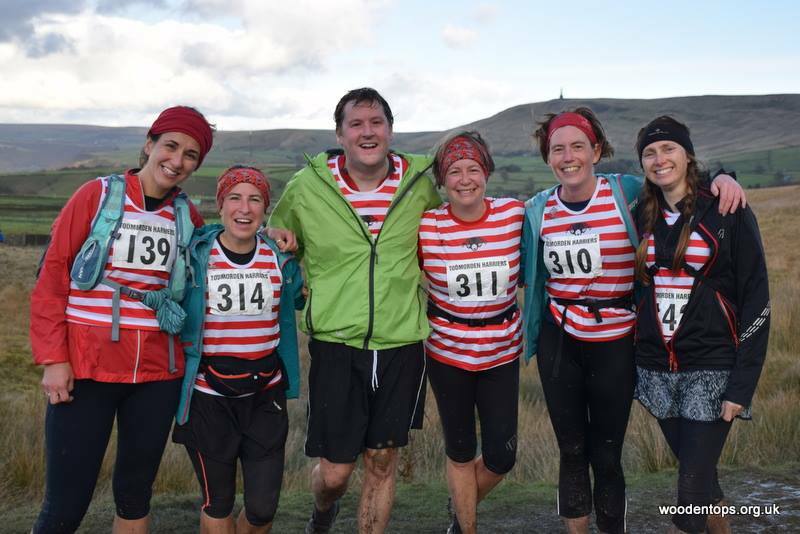 All smiles at the local Stoodley Pike Fell Race. 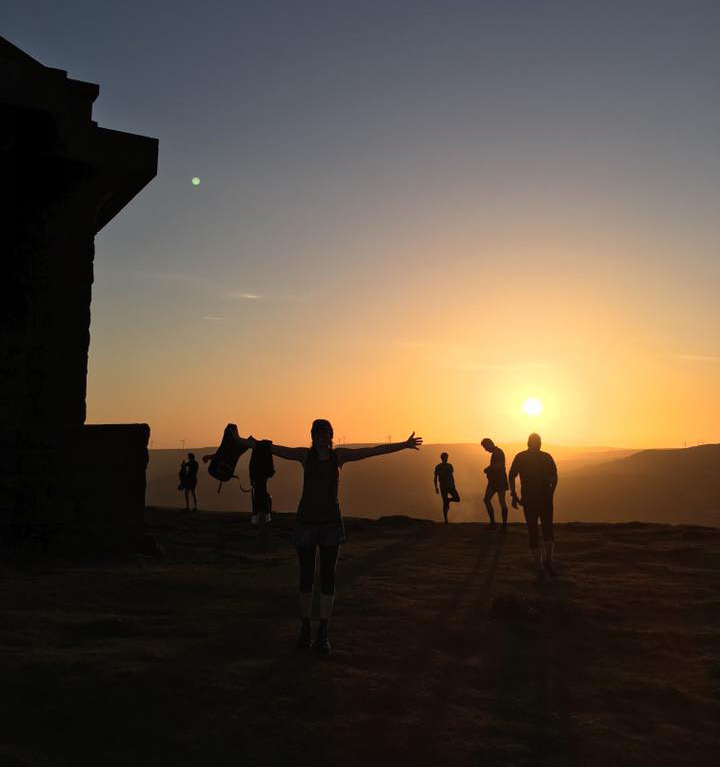 In 2016 a group of CVFR friends helped me to celebrate my 40thbirthday by seeing sun set on Pendle Hill, and running through the night to see it rise at Stoodley Pike. I’d said I wanted to hit the ground running at the beginning of my 40thyear. We’ve had bigger and better adventures together since. 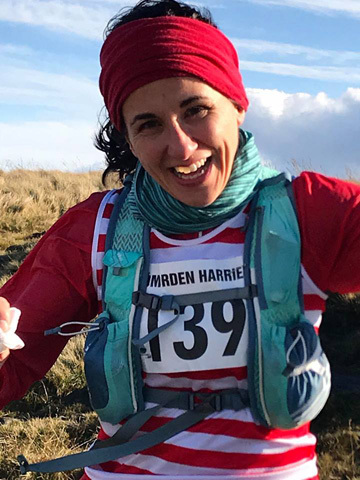 Half Marathons, Marathons, Mountain Marathons, Lakeland races, our first Ultra. We talk each other into things and don’t like to miss out. FOMO (Fear of Missing Out) at its best. The club is made up of a whole spectrum of runners. 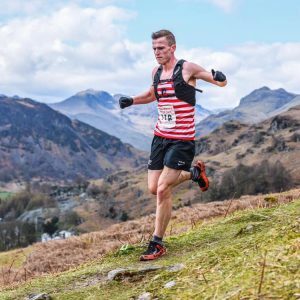 We have elite runners who run with a GB vest (the likes of Ben Mounsey and Holly Page and the U23 champion Martin Howard), serious racers and the more social, fun fell runners. But we’re all united by the love of running, and of where we run. Do you want to experience the joys of fell running too? 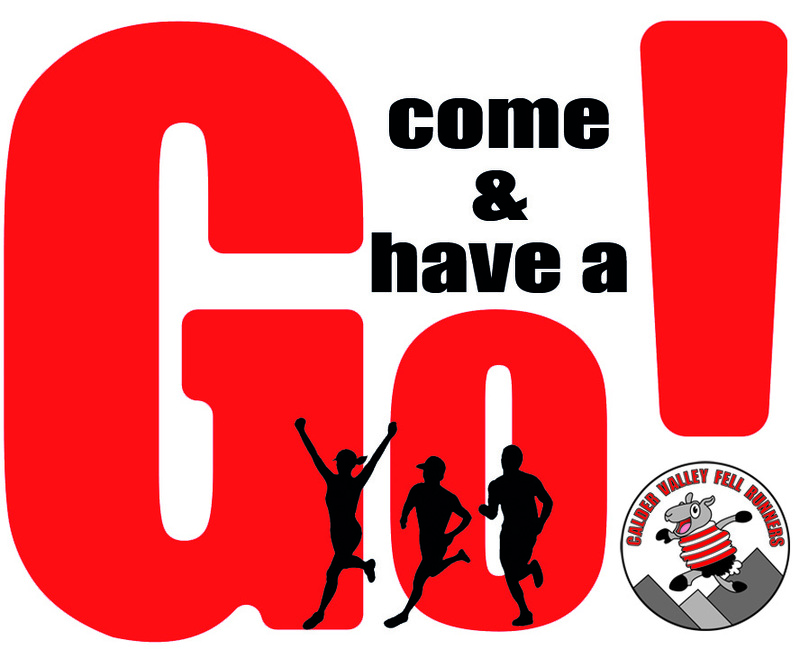 Come along to one of CVFR’s Have a Go sessions; Tues 30thApril and Tues 14thMay. 6.45pm at Mytholmroyd Community Centre. You’ll need to be able to run at least 5kms. You’ll need grippy trainers, a waterproof jacket and a smile. Contact gillhdickson@gmail.comfor further info.